What can be done to cease coral bleaching? Have you ever seen “The Bee Movie”? If you have, I’m pretty sure you saw the predicament the world was in when bees decided to reclaim their honey, and take a vacation from pollinating flowers. If this were to happen in reality, many organisms would be wiped out. Well, there aren’t any bees in the ocean but there are corals, an aquatic life form which are under threat due to human activity. Unfortunately, my only sighting of a coral reef is limited to the one featured in my all-time favourite movie, “Finding Nemo”. Brilliant hues of colour submerged in crystal waters where similarly brightly coloured fish and other species carry on their daily lives, darting in and out of colourful outcroppings as they forage, mate, nest and compete. Although my only visual experience was from an animated move, it has left a vivid impression in my mind about the beauty of this critical underwater ecosystem which is subject to the negative impacts of human activities. 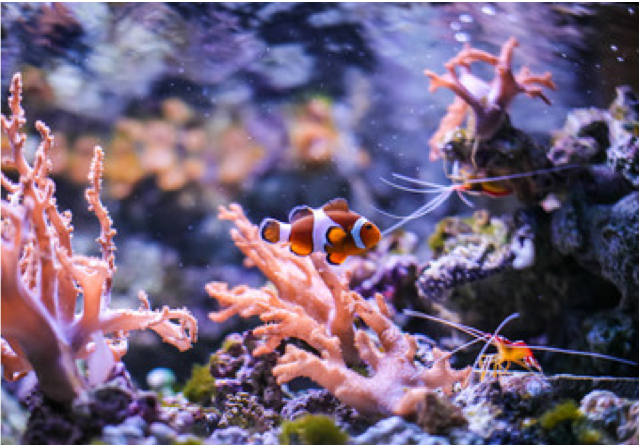 Corals grow very slowly, less than a millimeter a year, and provide a source of food and shelter for numerous organisms. This makes coral reefs among the most diverse and valued ecosystems on the planet however, coral reefs are under threat caused by global warming. Coral bleaching occurs when coral shed the zooxanthellae algae, with which they share a symbiotic relationship, and become white. The algae provide the lovely colours associated with coral reefs and nutrition for the coral. When bleaching occurs, tissue growth, reproduction and skeletal buildup are suspended. 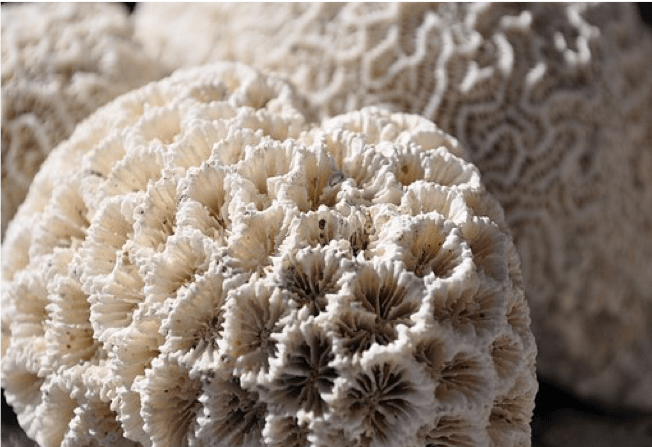 It is widely believed that corals become bleached because of increased sea surface temperatures as high sea surface temperatures are closely linked to or precede bleaching events. The most current research on bleaching events in Dominica was conducted during 2005 and as stated in Commonwealth of Dominica Coral Reef Report Card 2016; “coral cover was high (10-53%) prior to 2005 bleaching event and cover declined >28% in 1 year, >75% of corals were bleached”. Fishermen have also shared their observations that, along the west coast, it has become increasingly difficult to catch red fish because damage to the reef has caused a decline in the population of red fish. As an avid red fish lover, its scarcity is very evident as it is no longer readily available on the market, and when it is available, it is very costly. This decline in species is not limited to red fish, but to other reef species such as parrotfish, red snapper and kawang. This correlates with the report from the Commonwealth of Dominica Coral Reef Report Card 2016 which indicates that the presence commercial reef fish is now at a critical level. Not only do we depend on the coral reef for food, coral reef have instrumental value in that they are important for recreation purposes and in keeping with the eco-tourism thrust of Dominica. 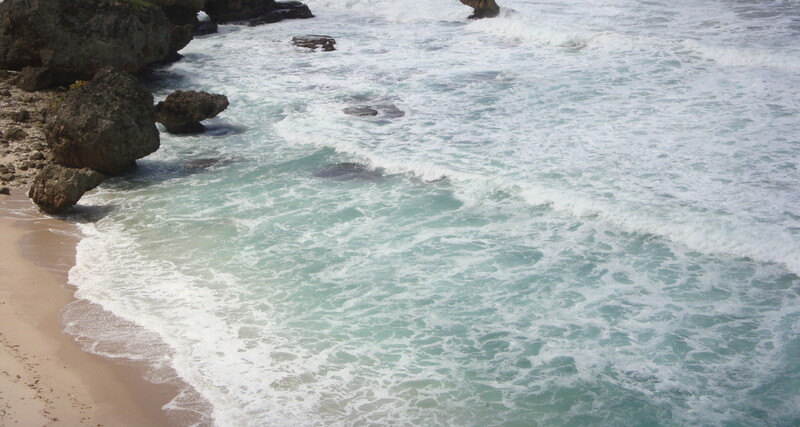 As beautiful as Waitukubuli is above land, she is just as beautiful under the sea. Dominica is touted as one of the premier dive destinations in the Eastern Caribbean and boast of some 46 species of coral scattered on both the west and east cost waters. If our corals are bleached, scuba diving, snorkeling and research activities will have to be suspended with the resultant loss of the income which these activities generate. This will result in loss of livelihoods and investments along with social implications. All must play a part in saving the reefs. At the local level, rigorous education and public awareness programs involving all stakeholders, including coastal residents, should be done. In to order avoid further damage to the already fragile and compromised reefs, alternative sustainable means of ensuring their livelihood should be secured. The residents can limit the use of agricultural chemicals and conserve waste water so that the already fragile coral reef will not be further compromised. Coral reefs around the world are disappearing at an alarming rate due to global warming which triggers bleaching events that are detrimental to the reefs. This has serious negative implications worldwide because of the diversity of ecosystem services which coral reefs provide. Swift and decisive action is needed by all concerned if we expect the next generation to enjoy the beauty and services offered by the worlds’ coral reefs. Think about it this way. What would Deadpool do? For the sake of his sushi, I think we know the answer to that question. ⟵Where have all the butterflies gone?